Knowledgable and smart approach to Realtor-Builder relationships. Builder Boost is helping San Antonio Realtors build their business. Builder Boost San Antonio builds a bridge between New Home Builders and Realtors to achieve the same goal to help our clients find their dream home. Save time and money by utilizing the tools provided by Builder Boost. I LOVE THE CONCIERGE SERVICE!!!! Great information and an awesome resource for REALTORS. Awesome information about New Construction Homes in San Antonio!!! Great resource for Realtors! Simple process by providing some basic requirements from your client and a few on site builder reps will contact you directly. BBSA provides great training and resources for Realtors to use out in the field. Thank you! 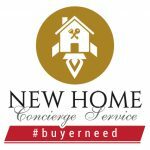 As a Realtor and Certified Military Residential Specialist, utilizing the "Concierge" service from Builder Boost has been a terrific and useful tool for my VA Buyers. The instant communication and follow-ups to the updated builder inventory list provided to me each week- helps me stay updated to what is available and find a the perfect match to my buyers. It truly takes all the guess work and gas wasting trying to see which builder has what in their community. Thank you Builder Boost San Antonio for all that you do to help us, Agents and Realtors!